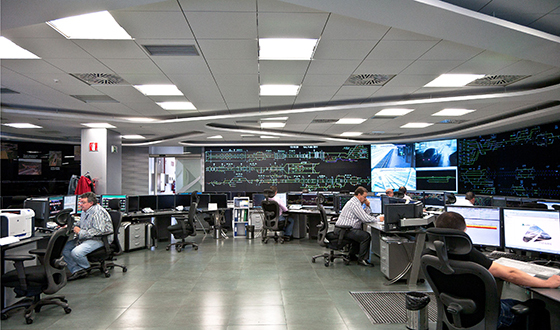 Ineco has developed the ICECOF system, which helps supervising and controlling the compliance with the commitment to punctuality in railway operations. ICECOF is a support system for the supervision and control of compliance with the railway operation’s punctuality commitments. This tool allows the causes and effects of incidents to be recorded and analysed so that measures can be applied to prevent their repetition. This system has been developed using internet technology to facilitate access regardless of the user’s location. The software includes various modules which can be acquired separately: a powerful incident manager is complemented by modules for job authorisation management, delays management, temporary speed limits, and post-hoc analysis with attribution of responsibilities. One of the system’s strong points is the Security section. It can indicate in the greatest detail the actions a user can take, as well as their ability to access the information depending on the system and the status of the incident.